This is the Muc-Off's legendary bike cleaner in concentrated form, thus saving on packaging and cash. Win-win. Just add water. 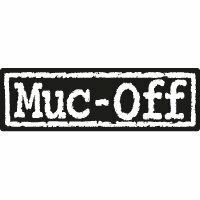 This 1 litre bottle of Muc-Off Bike Cleaner Concentrate can be diluted with water to create 4 x litre bottles of standard strength Muc-Off Bike Cleaner. 'The Bike Cleaner Concentrate has arrived! That's right; our relentless R&D team made our Nano Tech Bike Cleaner that much better by creating a handy refill pouch! It's the same award winning cleaner but in concentrate form! Just one 500ml pouch will make two litre bottles of Nano Tech Bike Cleaner! Re-using is even better for the environment than recycling, and that's what makes the Bike Cleaner Concentrate so amazing. It gets even better. The Bike Cleaner concentrate can also be used as a powerful degreaser in its concentrate form and it really works like a charm in Muc-Off's X3 Chain Cleaning Device! How's that for multi-use?